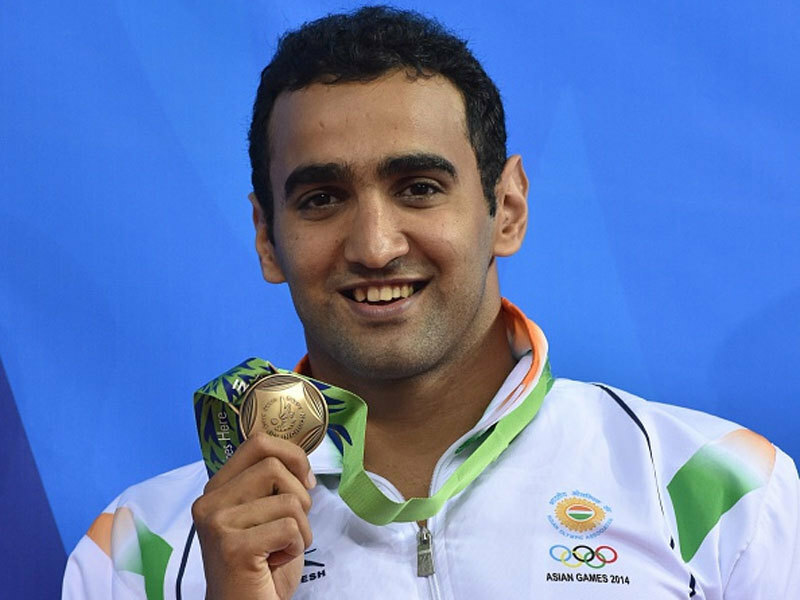 NEW DELHI: Decorated swimmer Sandeep Sejwal was left distraught when he failed to recover from an ankle injury ahead of the qualifying event for the 2018 Gold Coast Commonwealth Games. Sejwal had sustained the injury in February, and despite his continual efforts, the 30-year-old couldn’t attain 100 percent fitness. Hoping to erase the bitter memories of 2014, where Sejwal finished sixth in 100m breaststroke semis, he had to prolong his wait for a shot at redemption. Fast forward to June, and Sejwal is back in full swing preparing for the Asian Games 2018. A bronze medalist in the last edition, there is an air of confidence surrounding him. In a chat with TOI, Sejwal opens up about the disappointment of missing CWG and how it keeps him motivated to excel during August’s sporting extravaganza, along with a range of topics. How are the preparations for the Asian Games coming along? I think I’m on track for the event, apart from the foot fracture that I sustained before the CWG trials. I’m done with my rehab so I am holding up confident. I’m trying not to put too much pressure on myself or stress about it. I have once won a medal at the Asian Games, so I know I can do it again. I’ll just give my 100 percent and enjoy. In the process, if I win, it’ll be just like a cherry on top. I could not participate in the CWG, and that is something that has kept me motivated to do well at the Asian Games. I suffered a fracture in my foot so I had to miss my trials. I was then going through my rehab so that I could be prepared for the Asian Games. Fortunately, the foot is holding up just fine and I am back to my 100 percent. We have out Asian Games trials coming up next month so I have started training as well. I am in full blast training mode and doing better than earlier. What persuaded you to take up swimming? I have always been a fan of individual sports, and that is what got me hooked to swimming at a young age. The harder you train, the more the results you will have in your favour. You don’t have to rely on 10 other members to win a match. That was the main reason why I chose swimming; I never wanted to depend on anyone. Over the years, how much do you think swimming has grown in the country? Till two years back, we had the youngest team across all the neighbouring countries – be it the Asian Games or the Olympics. We had swimmers under the age of 20 representing the country, and all those young swimmers have today transformed into professional swimmers. Right now, the sport is growing rapidly, and with organisations like Speedo coming in to promote and sponsoring the sport, it’s a big morale booster for the budding swimmers who either are winning medals or want to at the international stage. Have we evolved in terms of infrastructure needed to excel in swimming? See, we always had good infrastructure. The only think lacking was that we were not able to utilise it, because there was just one swimming pool in Delhi which was at Talkatora Stadium and everywhere around the country we were managing with the old standard pool. Right now with the Padukone-Dravid academy and many other private clubs coming to the fold, the infrastructure is becoming accessible to youngsters. I hope this pattern keeps growing and hopefully this will help us and the sport in years to come. The results are out there: We have 4 swimmers who have qualified for the Asian Games. Earlier, we used to struggle to get even two. Do you give yourself a good chance at the Asian Games? Yes, definitely. With the ankle getting stronger and the kind of experience I have, I would give myself a chance. That being said, I wouldn’t be overconfident about it because other swimmers are training equally hard. Everyone has a fair chance but I feel quite confident of a medal finish at the Asiad. Who do you think will be India’s toughest opponent at the Asiad? China is doing well so they will be the biggest competitor, not just for India but for all the teams taking part. The other team I think that will really sweat the opposition is Korea. So you have to be wary of these two sides. Has India fully embraced swimming as a competitive sport? Like I said, it’s growing and has the potential to grow even further. I also want to mention that since this is the first time, first year where two swimmers have been involved in the TOP scheme by the government – Sajjan Prakash and Shrihari Nataraj. So that is a big positive. Earlier, we’d have never imagined a swimmer being given such a nice treatment; neither were they given any grants. So such initiatives really help. Shrihari is 18 years old and is the youngest to qualify for the Asian Games; his timings are quite impressive. A time trial for the Asian Games in taking place next month, so there will be quite a few young swimmers who have a bright future ahead. Who have been your idols while growing up? Cameron van der Burgh. He’s a former world record holder in my favourite event. I had once been to Austria to train with the coach he used to train with. Unfortunately, he wasn’t available when I went there. I was there for three weeks in Austria, hoping that I would get a chance to train with him. But that never happened.